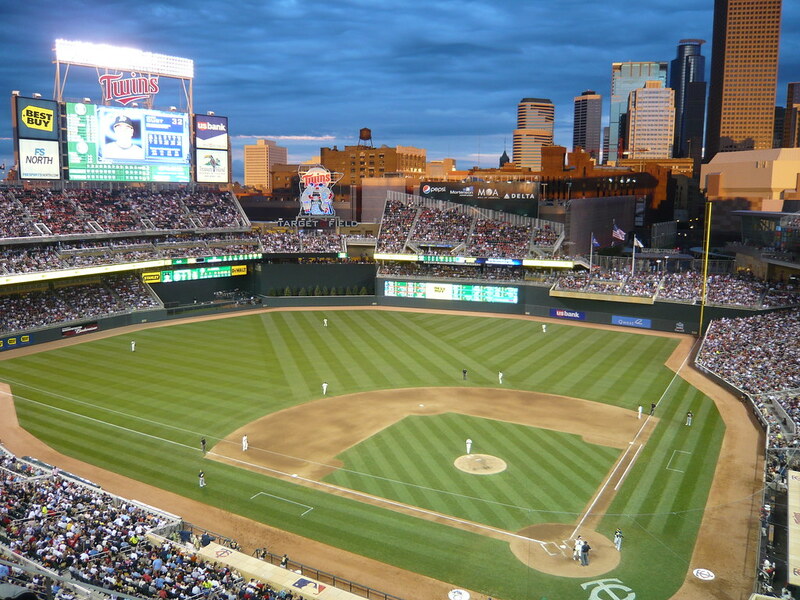 The Minnesota Twins home opener is today at 3:10 PM at Target Field in Minneapolis. This is the beginning of the second season for the Minnesota Twins at their outdoor stadium. Hopefully they can beat the Oakland Athletics even after Twins second baseman Tsuyoshi Nishioka suffered a broken leg yesterday against the New York Yankees. The above photo was taken during an August 15, 2010 game at Target Field.